Seams like the whole UK gets rid of itself. Now we all know a nice, speedboat-friendly island in Scotland. 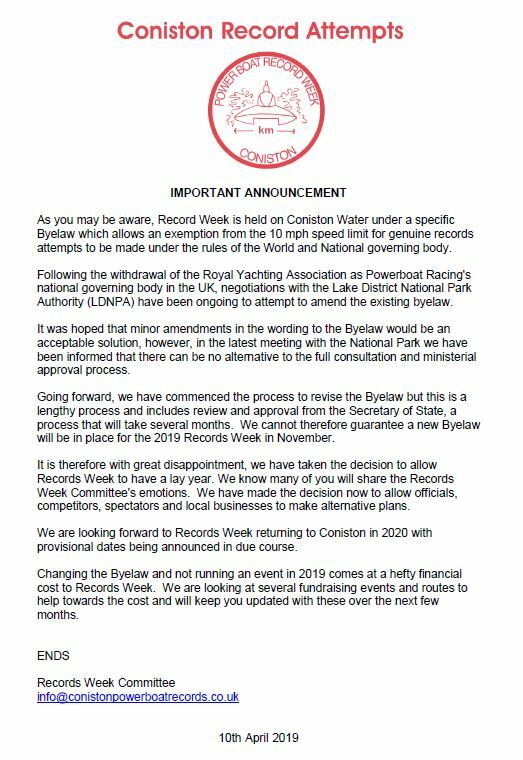 Don't laugh, have a think about it, why not relocate Records Week to the Kyles of Bute? It's a long, straight and usually flat stretch of water. saltwater,admittedly, but so what? The boats will float better in denser water and they will shower off once back ashore then it's beers in the back room of the Bull or over to the Golfer's or wherever else.